This month I'm so excited to post something different from the past. 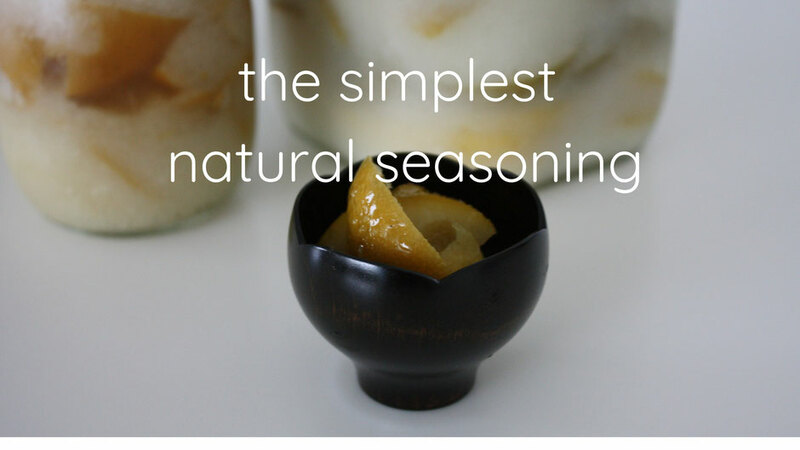 It's about natural hand-made seasoning as well as some recipes using it! It's really simple steps to make and also versatile! People are getting more conscious of picking natural/organic foods and products, but at the same time worrying about those too much wears us out and also most of the time it may be costly. Here I'd like to share my favourite handy seasoning for everyday for everybody! It's preserved lemon called "Shio lemon" in Japanese, which is made of only 2 ingredients "Lemon" and "Salt". This seasoning gives any kind of meals fresh and amazingly rich taste. Good at meat, fish, veggies even rice and sweets, you name it! Let's get started with "Shio lemon" prep. Get fresh and preferably organic lemons ready because you can consume lemon whole including peel. 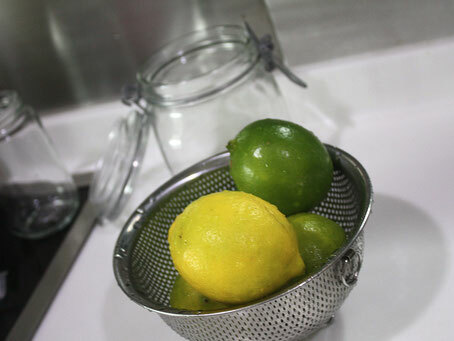 Wash and hull lemons, then cut half of them into about 1cm thick slices, and chop the rest into 5-6 pieces. 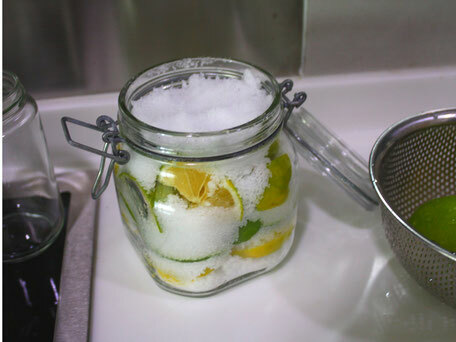 In the sterilized and completely dried jar, put salt to be covered the bottom of the jar and sliced or chopped lemons and then salt again in alternate layers of lemons and salt, finally cover with salt on top. Leave it at normal temperature for 5-6 days until juice comes out from lemons then done! Keep them in the fridge from here. Coarse salt is recommended as it has bittern which makes richer and milder taste. Now that this magic seasoning is ready, let's try cooking with it. 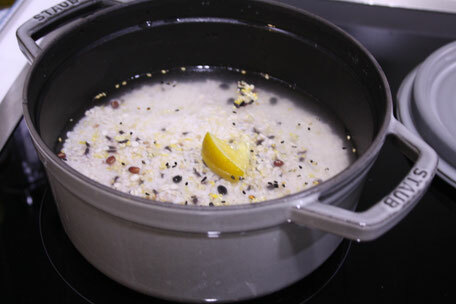 Marinate chickens with the salt from Shio lemon and leave them for about half an hour. 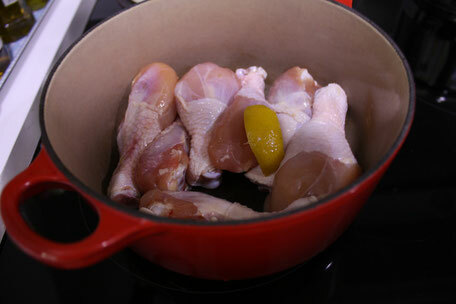 Place the chickens on the heavy pot and put 1 piece of lemon on top and pour white wine or Sake and close the lid. Heat them over low-medium heat for 5mins to roast, and then put any veggies you like such as cabbage, onion, white turnip and 1 cup of water then put the lid back then just wait for an hour. That’s it! None of any ingredients or seasoning needed, no hassle. 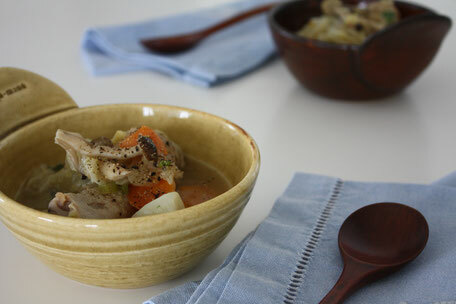 All the juice from the chicken and veggies come out to become beautiful soup. You’ll be surprised to see these simple ingredients bring out such rich and delicate taste. Place one piece of Shio lemon on top when cook rice. I like mixing 1 or 2 tbsp of rolled barley or any rice grain to mix. Cook rice as usual. 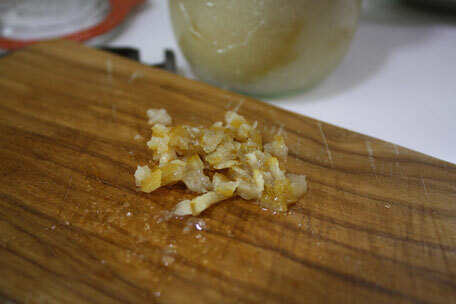 Now that the lemon skin soften a lot, mix them until well mixed. Sprinkle “Tororo-konbu”(shredded tangle kelp) and “Katsuo-bushi”(Bonito flakes). So yammy!!! 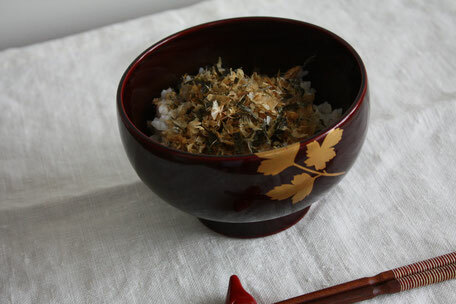 Fresh flavour and “Umami” from kelp and bonito flakes are well-matched with fresh flavoured rice. Sounds severe and nothing special? but you can’t stop eating it. Beat butter at room temperature with a whisk until white and creamy, and add sugar and stir them. Add an egg, sifted flour and chopped Shio lemon peel into it, then stir them roughly with a spatula. If dough doesn’t come together, add 1-2 tbsp of milk. Wrap the dough in stick in plastic wrap and rest them in the fridge for at least 30 mins. 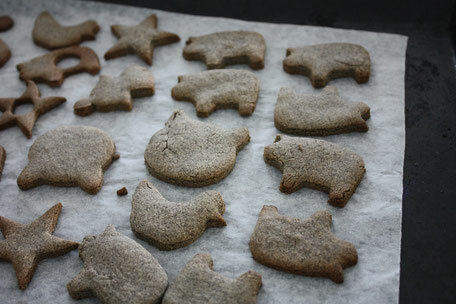 Cut the dough or maybe use the cookie-cutter and bake in a preheated oven at 180 degrees for about 15 mins. 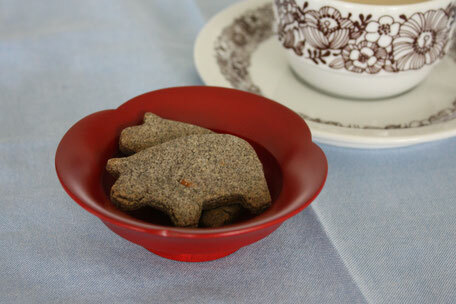 These cookies have sweetness and a light acidity with delicate flavour. You want to try now? 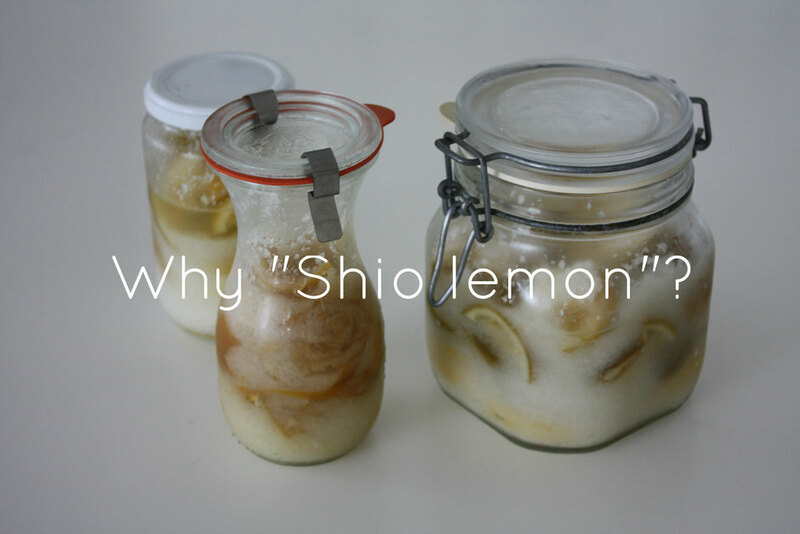 If you have any ideas with Shio lemon, please do share with us. Be creative!